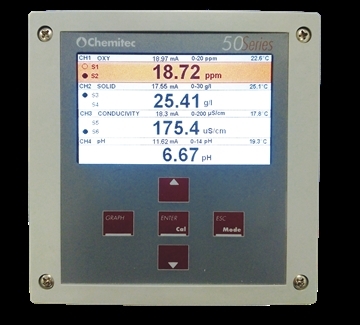 The Chemitec 50 series digital meter accepts multiple Chemitec sensors measuring key water quality parameters (pH, ORP, conductivity, turbidity, MLSS, DO). Three versions are available accepting two, four or eight sensors. The instruments provide a local display, internal data logging and outputs to telemetry. 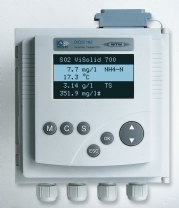 Please send me more information on Chemitec 50 series water quality instrument.